1.HD 1000 TV lines camera, provides super clear image. 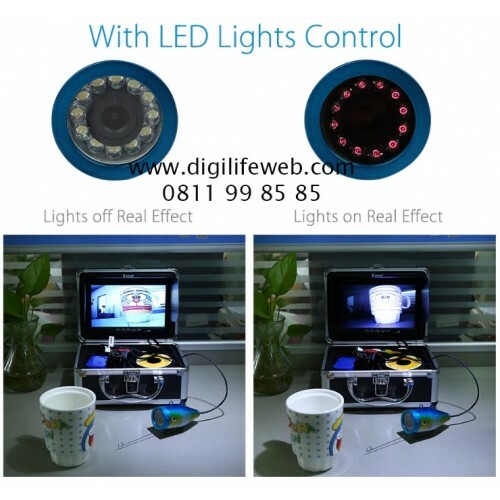 2.the default lamp is 12pcs Infrared bright LED, White LED is optional. 3.Light ON/OFF function: the lights is adjustable, you can turn off it when unnnecessary. 4.Simple Removable sunvisor for free as a gift. 5.7 inch TFT color monitor. 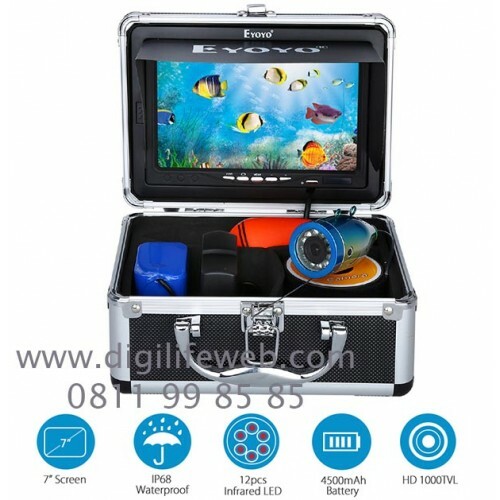 6.Fish model design, waterproof and durable aluminium alloy material on the camera body. 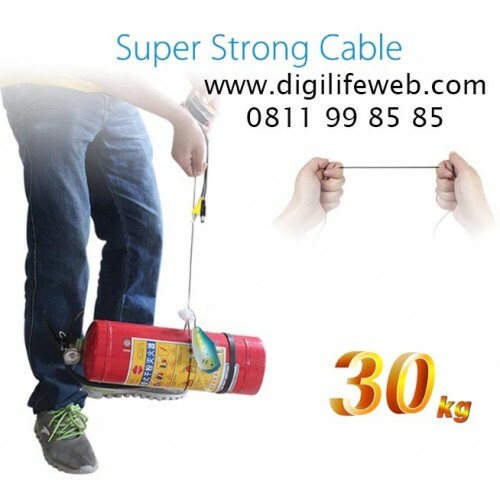 8.With cramp rings to fix the cable along the fishing rod. 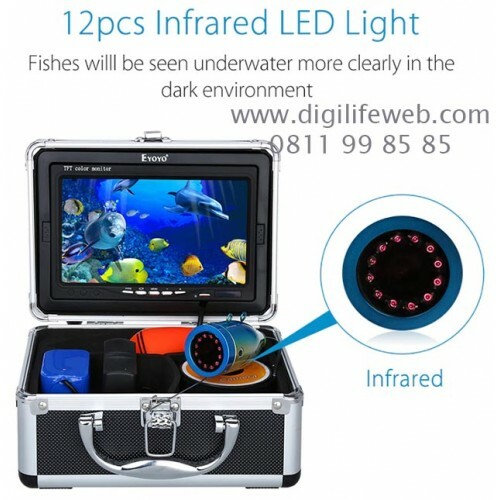 9.6pcs of plastic coils so that you can fasten the camera through Telescopic fishing rod easily. 10.High quality 4500MAH lithium battery, can continuously work up to 7-8 hours. 12.Ideal for monitoring aquaculture, underwater exploration, ocean/ice/lake fishing, underwater salvage, etc.